Primeview USA has added EDA PRO AV to their sales force team. EDA PRO AV is led by Mark Adams, a technology manager with more than 30 years of experience in sales and marketing. From 1985 to 1997 Mark managed the eastern region for Hitachi America. In 1997, Mark founded EDA PRO AV, a Southeast-based company that represents manufacturers in the video and audio visual industries. EDA works with dealers, integrators and consultants to provide solutions for the education, corporate, government, transportation, medical, broadcast, house of worship and industrial verticals. EDA also assists principals by providing sales and marketing support, such as dealer training, technical training, and end-user demonstrations. 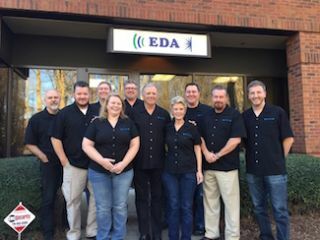 Each member of the sales staff at EDA have at least 10 years of AV experience. “We’re confident that we made a great choice selecting EDA to manage the strategically important Southern region, we expect and believe firmly that the experienced team at EDA will live up to its reputation of word-class dealer support with Primeview’s premium display solutions,” said Chanan S. Averbuch, senior vice president of The Americas at Primeview USA.